FREE Do It Yourself Special: FREE plans to add MIDI capability to the Moog Micromoog with the Synhouse Moogiestyle MIDIJACK! The following plans describe a method of adding MIDI capability to the Moog Micromoog analog synthesizer with the Synhouse Moogiestyle MIDIJACK. This will allow the Moog Micromoog to be used as a MIDI analog monosynth. Some drilling is required. The micro size and black color of the MIDI button are such a perfect match for the Micromoog that it makes it look as if it came from the factory with the MIDI interface. 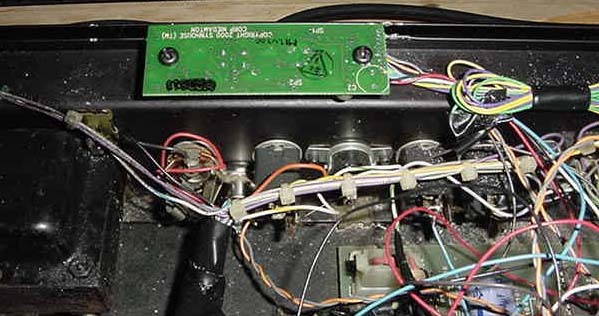 The installation of the MIDIJACK in a Micromoog is one of the easiest modifications of all. In fact, with the MIDIJACK, it is possible to convert the Micromoog to MIDI without even removing a single circuit board from the instrument! The correct analog I/O signals are easy to find and connect to the MIDIJACK. 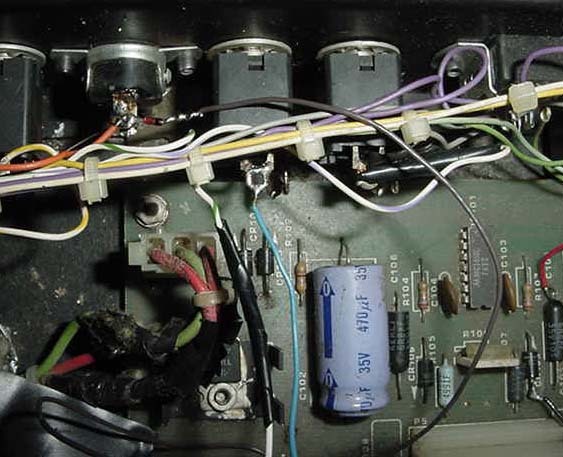 Like many older American synthesizers, the Moog Micromoog has panel-mounted CV/gate jacks with solder lug terminals and the MIDIJACK wires can simply be soldered right inside the panel and the whole MIDI conversion job can be done in one hour. The 1/4" jacks do not even need to be unscrewed from the back panel. They may be left in place and soldered right on the spot. 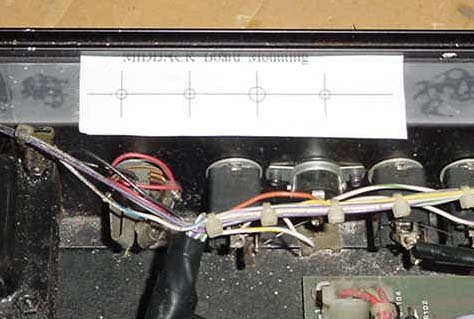 This modification reroutes the local keyboard signals through the computer-controlled analog switching matrix of the MIDIJACK by extracting the signal and inserting the users' choice of local keyboard control or MIDI. You can do this yourself if you have a little experience with electronic repair and the soldering of wires and circuit boards. If not, it is recommended that you send the instrument to Synhouse L.A. for a quick, low-cost Factory Installation. It is best to download these notes and photos and print them out on paper to look at while working on the instrument and make notes and check off the steps as you go. As with any project, you should completely read and understand each step of the instructions before starting. All repairs and modifications made to your instruments will be done at your own risk and Synhouse Multimedia Corporation assumes no liability for personal injury caused or damage to equipment or loss of use caused directly or indirectly by the use of these plans. If in doubt, don't do it! unpredictable and the house brand ordered by Synhouse for the test installation took three months to be delivered, while the Greenlee part was delivered in one week. Mouser refused to give even a small discount to customers of Synhouse, so no recommendation is deserved or being made here, and any other source you know of to buy this type of tool is highly recommended and certainly a better place to buy from for all of your needs now and in the future. You will also need an 11 mm wrench (for Greenlee) or 1/2" wrench (for the Mouser house brand punch) or adjustable wrench to turn the chassis punch while cutting the hole. 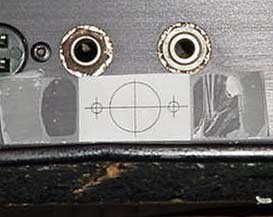 If you choose to mount the DIN jack in the soft plastic portion of the Micromoog chassis, the X-Acto knife will carve out the hole quite easily, and will also make the holes for the screws as well, so no chassis punch, electric drill, or drill bits are needed for this alternate quick mounting method. 2) Fully test the Moog Micromoog to be converted to MIDI. Be sure that all functions such as the envelope generator work and that the instrument plays in tune while playing along with a known well-tuned instrument such as a newer digital synthesizer or sampler keyboard. If it doesn't work properly without MIDI, it certainly won't work with it. 3) Extreme caution should be taken while working on the Moog Micromoog. 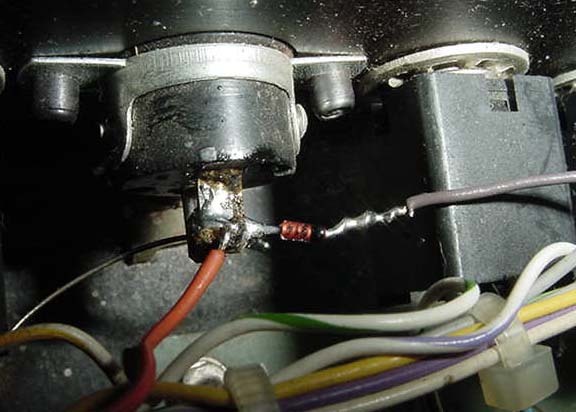 The unit should be unplugged while open and even then, the power supply may pose some electric shock hazard due to residual voltage in the power supply. 4) Open the case and turn the synthesizer upside down and shake out any dust and debris that may have accumulated inside the instrument over the years. 6) Mount the MIDIJACK board in place. When mounting the MIDIJACK board, the switch should be fitted so well in the panel that the switch stem will not wiggle at all once in place. It should not have any free play but also should not be so tight that it binds. When the switch is pressed, it should have a definitive "click" and bounce back like the button on a new VCR. You will never regret spending too much time on this and good attention to detail will make the perfect MIDIJACK installation. 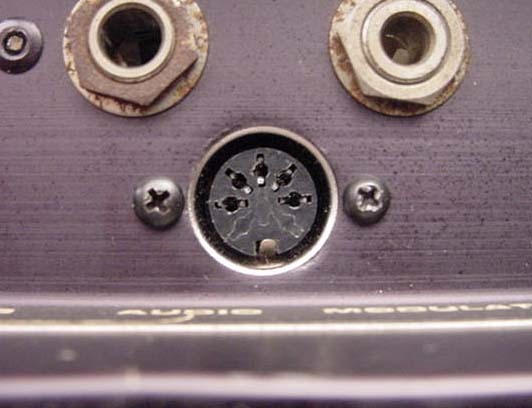 The hole in the panel that is over the MIDIJACK scale adjust trimpot should be large enough so a Synhouse Pocket Screwdriver can fit through the panel for periodic adjustment. Solder the two wires in place. An ultra-clean installer may prefer to cut all wires to the perfect length, but other users may prefer to save time by using the precut, stripped, and tinned wires at their standard lengths and there is no electrical reason not to. 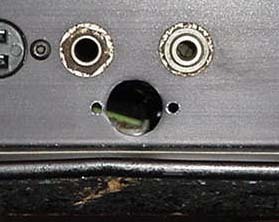 It is just a matter of preference and after the job is done and the Micromoog is put back into service, who will care? 11) The MIDIJACK #5 yellow wire and #6 green wire are not required for for adding MIDI to an S-Trigger Moog such as a Micromoog, but it is a good idea not to permanently cut these wires off, as an alternate installation method may become useful later. It is best to wrap the ends of these unused wires with electrical insulating tape and bundle them with the other wires when finishing the installation. packet contains nylon cable ties which can be used to tie the MIDIJACK wires to the original Micromoog wire bundles. 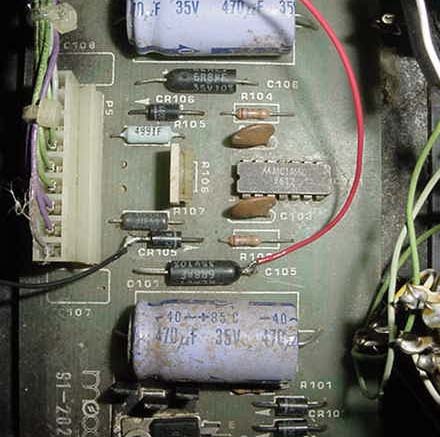 14) Carefully examine all soldered connections for possible short circuits before closing the instrument. 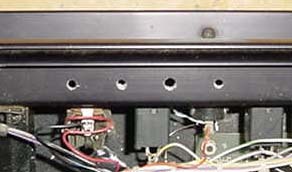 15) Close chassis and replace the screws. Question 6: I have a MIDIJACK MIDI interface installed in my Micromoog and it never plays in tune. The intonation of the keyboard is always bad. What's wrong? 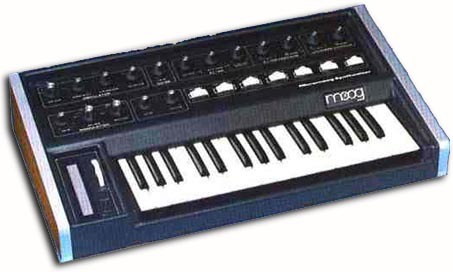 Answer: The Micromoog never played in tune with anything except its' own keyboard. Controlling externally via CV/gate jacks always caused the notes to be out of tune whether it was 25 years ago from a Minimoog or more recently with some sort of MIDI controller type of device. It has been said to be not 1 volt per octave, but rather about .9 volts per octave due to some design error. This is no longer a problem. Do not underestimate the versatility of the MIDIJACK. It is all hardware. If your Micromoog has the problem of being .9v/octave instead of 1v/octave, it can be corrected with a quick adjustment on the MIDIJACK. Play a few notes on the Micromoog through MIDI. If the notes are all sharp as you go up, like the whole keyboard has steps that are too far apart, then it is less than 1v/octave. The solution: The MIDIJACK has a scale adjustment trimmer that affects the musical intonation of the analog synthesizer while it is under MIDI control. It is less than one inch away from the MIDI function button and may be adjusted by inserting a small flatblade screwdriver into the control panel opening. A Synhouse Pocket Screwdriver fits perfectly. The scale adjustment trimmer may be set by ear if the Analog User has a good sense of pitch. A MIDI controller keyboard should be connected with a MIDI cable to the MIDIJACK and the audio output of the Micromoog to a sound system for monitoring. The MIDIJACK should be in MIDI On Mode and set to the same MIDI channel as the MIDI controller keyboard. While playing alternating notes on the MIDI controller keyboard that are an octave apart, the user can turn the scale adjustment trimmer very slowly until the proper one-octave interval is heard and the entire keyboard plays in tune. It may be easiest to hear the tones clearly by adjusting the Micromoog so that the filter is open with the frequency set to maximum, the emphasis set to minimum, and the envelope generators set to sustain, without any vibrato on the oscillators. An extra help would be to use a MIDI synthesizer or sample playback keyboard as the MIDI controller and listen to its sound output as a reference tone to match the Micromoogs' intonation while adjustments are being made. A low note may be played on the MIDI keyboard while the Micromoogs' master tuning knob is adjusted to bring the two sound sources into tune. Next, play higher octave intervals of that note, and slowly turn the MIDIJACK scale adjustment trimmer until the entire keyboard plays in tune. For the Micromoog to work properly, the trimmer will have to be turned about 10% down, or counterclockwise, from the Synhouse factory 1v/octave setting. With this altered setting, the MIDIJACK should be putting out MIDI notes 0-127 at a scaling interval of .9v/octave. You can shrink or stretch your scaling from 0v/octave (not too musical) to approximately 1.2v/octave. Actually more than that, you could turn it all the way up to 2v/octave but the MIDI notes above 64 would be clipped and all the same pitch. The MIDIJACK is designed this way because most old synthesizers are out of calibration in one way or another and this is one way to try to bring them back into adjustment. Additionally, it allows the MIDIJACK to work in instruments that have exponential oscillators other than 1v/octave, such as EML (Electrocomp 101 and others) and EMS (Synthi AKS and VCS-3). Analog calibration should only be performed occasionally, as overuse of the scale adjustment trimmer may cause excessive wear and premature failure of the part. 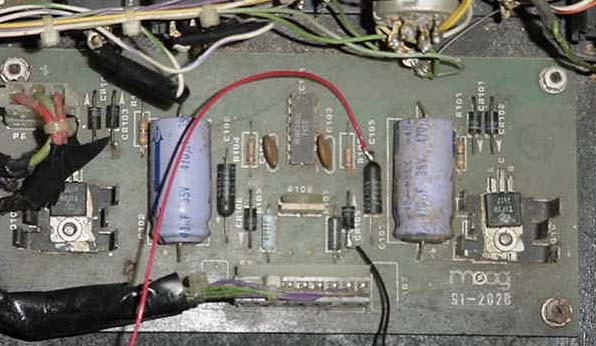 17) It is probably a good idea not to use the Micromoog built-in local keyboard or oscillator CV and S-Trigger input jacks while MIDI is activated or vice versa. 18) This installation can be completed in approximately one hour, depending on how you mount the MIDIJACK board.